Regular readers may have noticed I have a penchant for macarons – the chewy, pretty patisserie. 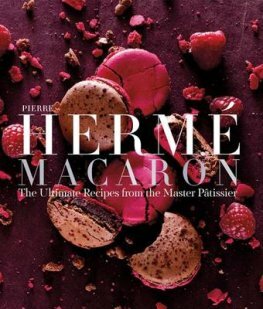 Now French macaron master, Pierre Hermé (who French Vogue dubbed “the Picasso of pastry”) is publishing a sumptuous book filled with recipes for his most enduring flavours and more outré offerings such as tangerine and cucumber, wasabi cream and strawberry, and hazelnut and asparagus. The cover looks like a coffee table art or fashion book: this is aspirational pastry; the macaron as muse, if you will. The book is out on the 6th of October and is available at wordery.com for £18.68. If you wish to familarise yourself with his edible ouvre before then, he has a shop in London and a delightfully serious website written in idiosyncratic English. It says things like “It is a divertimento. A one-act play taking a fresh, new look at the interplay of balance and tension between the chocolate shell and the ganache filling” while introducing new chocolate “Les Galets”, featuring “Azur”, a dark chocolate with a yuzu ganache. It even – rather endearingly – suggests drinks to go with some creations: tea, coffee and water. 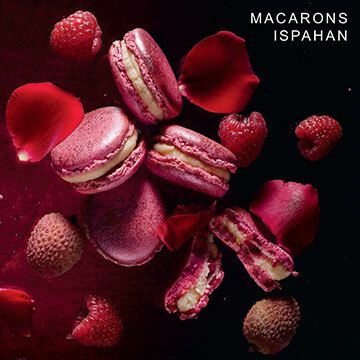 His signature flavour combination is “Ispahan”, a rose, raspberry and lychee concoction available in various incarnations: macarons, bonbons chocolat, cake and granola to name but a few. Other unique macarons include “Mogador” which sounds like a land Tolkein invented but is actually a passion fruit and dark chocolate flavour; “Infiniment Jasmin”, jasmine flower and jasmine tea, and “Mosaic”, pistachio, cinnamon and cherry. Pierre Hermé Paris, 13 Lowndes St, London SW1X 9EX.